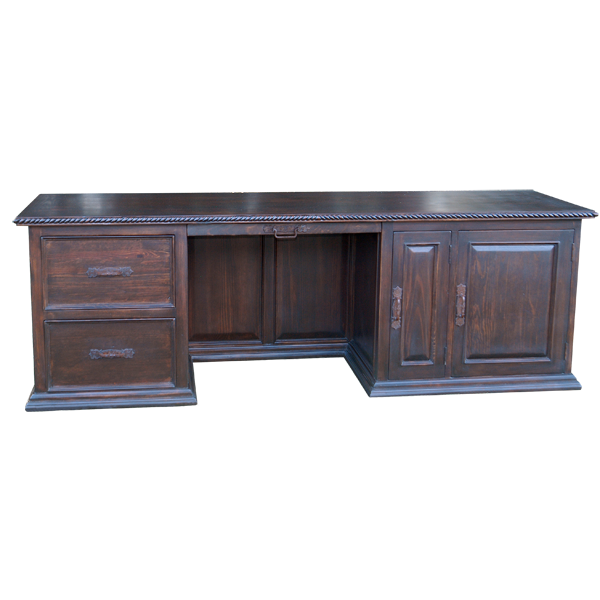 This handcrafted, Western style desk combines a gorgeous finish with practical storage and work space. 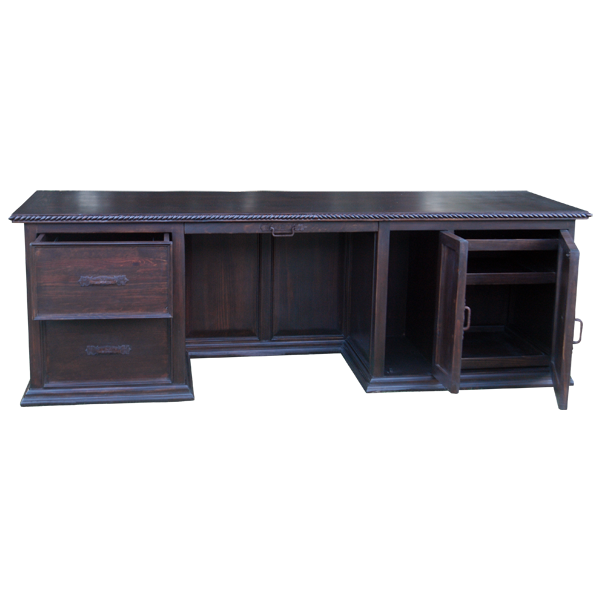 The desk has a keyhole design with a rectangular, open top, and the design of the straight, top rim is repeated in the solid wood molding of the base. 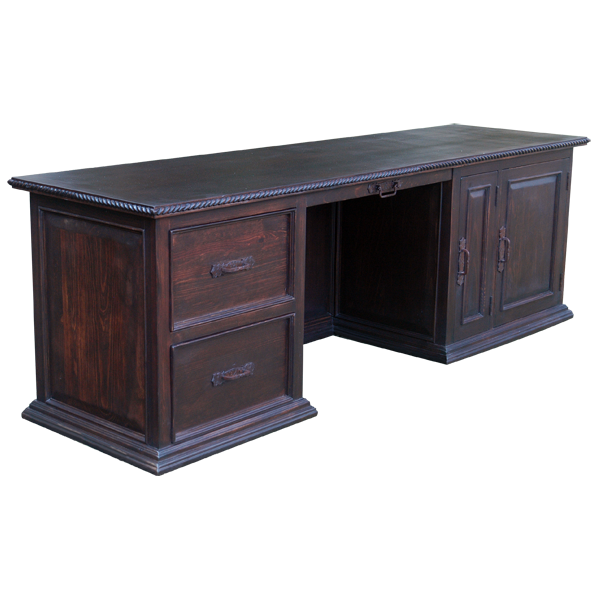 Centered in the desk is a narrow, rectangular drawer, and the drawer has a hand forged, iron handle in its center. To the left of the central drawer are two, large, rectangular drawers, and each drawer has a centered, hand forged, iron handle. To the right of the central drawer are two cabinet doors, each having inside space for extra storage. The cabinet door on the far right has three shelves, and both cabinet doors have hand forged, iron handles on their sides. 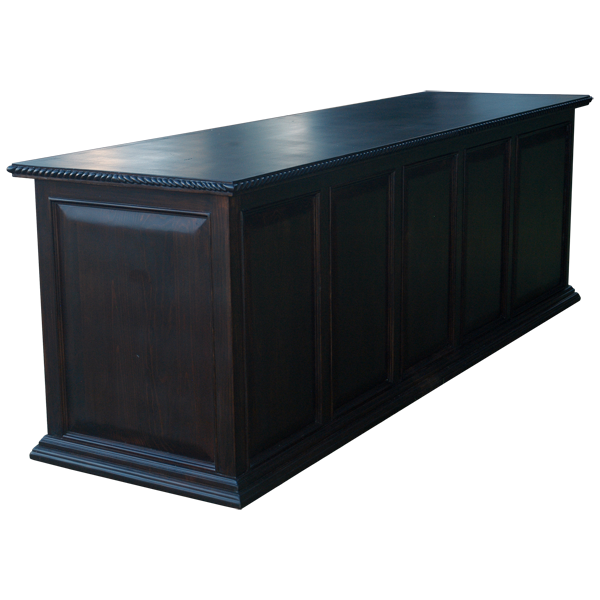 The front of the desk has decorative, rectangular cut panels, and this design is repeated on the lateral sides. The desk is made with the best, sustainable, solid wood available, and it is 100% customizable.